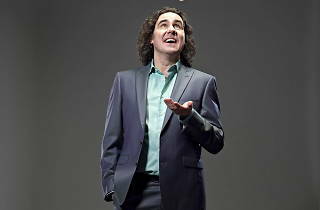 ‘In 2011, my career took off, and I became famous,’ says Micky Flanagan, not beating around the bush at the start of his new solo show. But it’s not the paparazzi, or signing autographs, or having to keep his trademark locks so bouncy, that frustrates the 50-year-old comic about his newfound fame. It’s that he’s ‘not allowed to steal anymore’. Yep, despite being a member of the stand-up elite (with a swelling bank balance to prove it), Flanagan’s held on to his working-class roots – he’s still a rebellious teenager at heart, and still prone to a spot of low-level skullduggery. ‘Back in the Game’ focuses mainly on Flanagan’s marital grumbles, turning 50 and nostalgia-tinged anecdotes about a no-nonsense ’70s upbringing. Not exactly new comedic territory, you might think, and you’d be right – in fact, the material does slip into clichéd ground on occasion, especially when on the subject of his domestic life. But Flanagan’s sneaky delivery and extended Cockney vowels help extract every possible laugh from each routine, and there are some ‘tasty’ stories in this hour-and-a-half. His tales of small but important victories resonate the most – we’re all rooting for him when he cunningly attempts to catch up with the 37 bus at Clapham Junction. 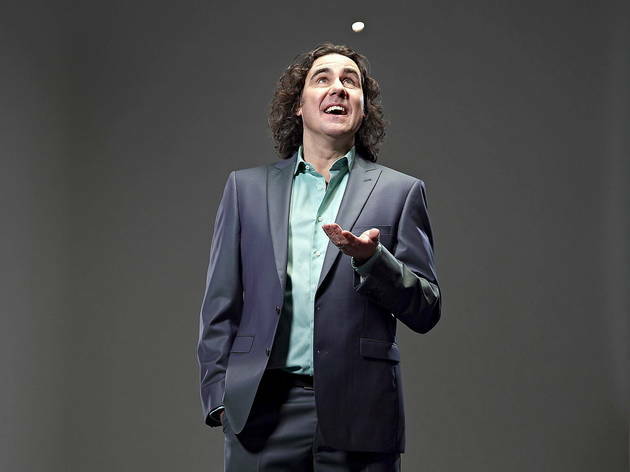 Those expecting the ‘hits’ from the ‘Out Out’ tour, the show which rocketed Flanagan to his superstar status, will be disappointed – there’s not even a nod to them here. But by the time ‘Back in the Game’ wraps up in a neat callback to the show’s title, the audience has forgotten those old routines ever existed. Bosh, job done.